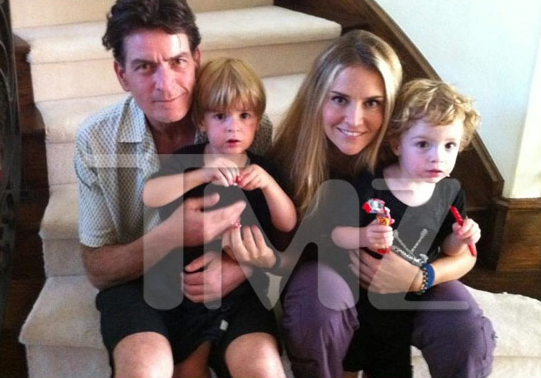 Charlie Sheen has become Brooke Mueller’s knight in shining armor and that is leading to a really beautiful reconciliation. No, this isn’t a joke. The family photo above isn’t a prank. That is one happy looking little family. Charlie has been instrumental in getting Brooke clean and he is trying really hard to get the family back together. Both Charlie and Brooke are determined to raise their sons together. Word has it that Charlie is even going to get Brooke a house in his neighborhood after she finishes this round of rehab to make the co-parenting easier. I smell a romance getting rekindled as well. What do you think? Can you see these two getting back together?